To celebrate the 2 year anniversary of Pokemon GO, Niantic has kicked off and announced a few surprises for Pokemon GO trainers. Starting today, trainers will encounter Pikachu and Pichu more frequently in the wild until July 31, 2018. 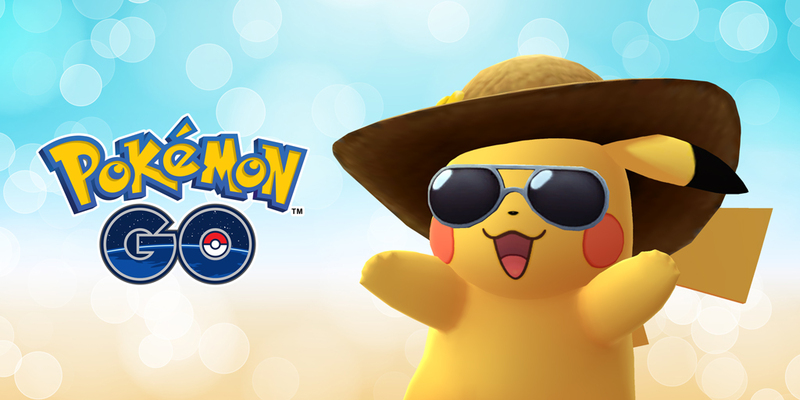 A special Summer Style Pikachu, decked out in a straw hat and sunglasses, will appear throughout the month. In addition, trainers with a gold Pikachu Fan medal will soon be available to purchase Pikachu Fan Avatar items such as T-shirts and Pikachu ears. Mythical Pokemon Celebi will also be available as a Special Research prize worldwide in the very near future.